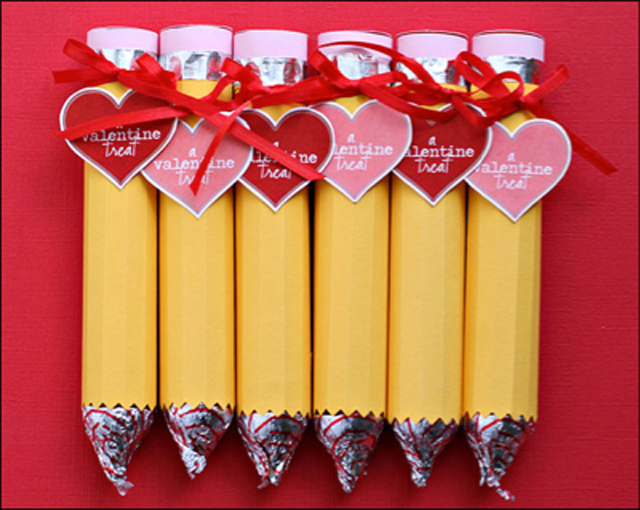 Here are my TOP 10 picks… from the creative mommies out there. 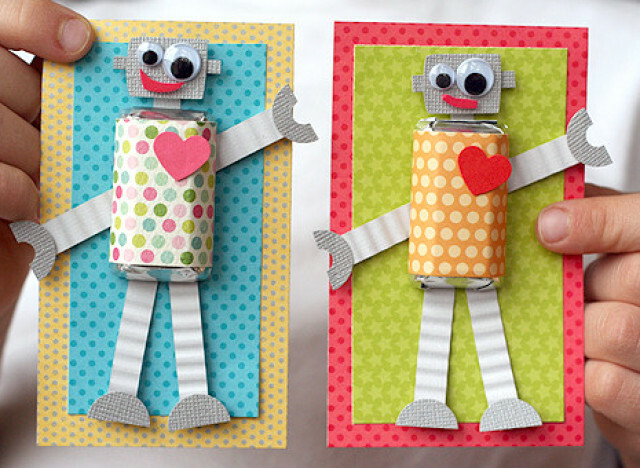 Robot Valentines by Lisa Storms. 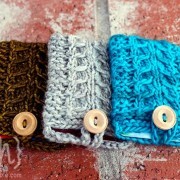 Perfect gifts for boys and girls. Pencil made of Rolo and Kisses, by Thrifty and Thriving. 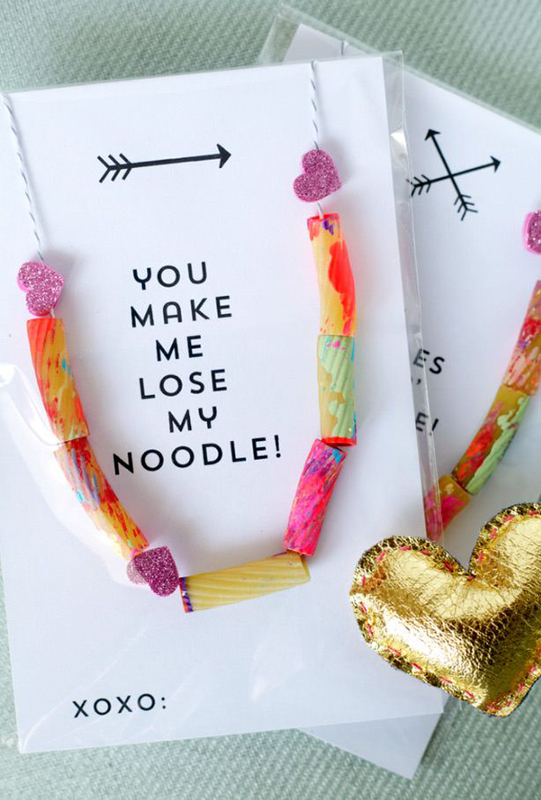 Noodle Necklace by The Alison Show. 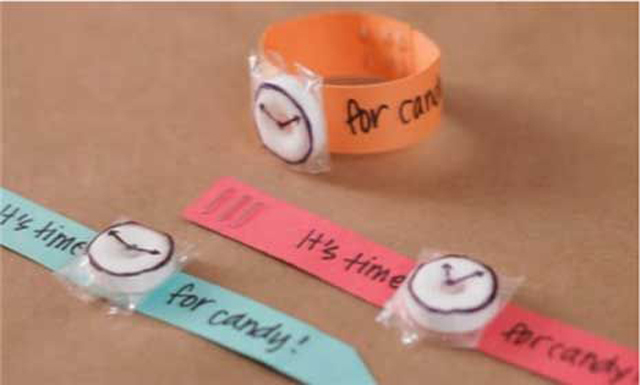 Very fun to do with your young ones. 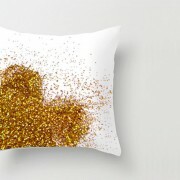 Do you want to built a snowman? 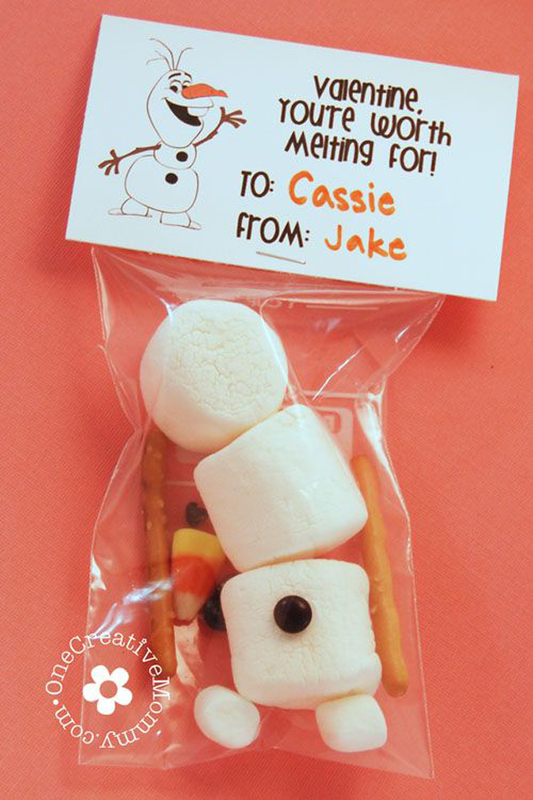 Frozen Olaf kits and free printable via One Creative Mommy. 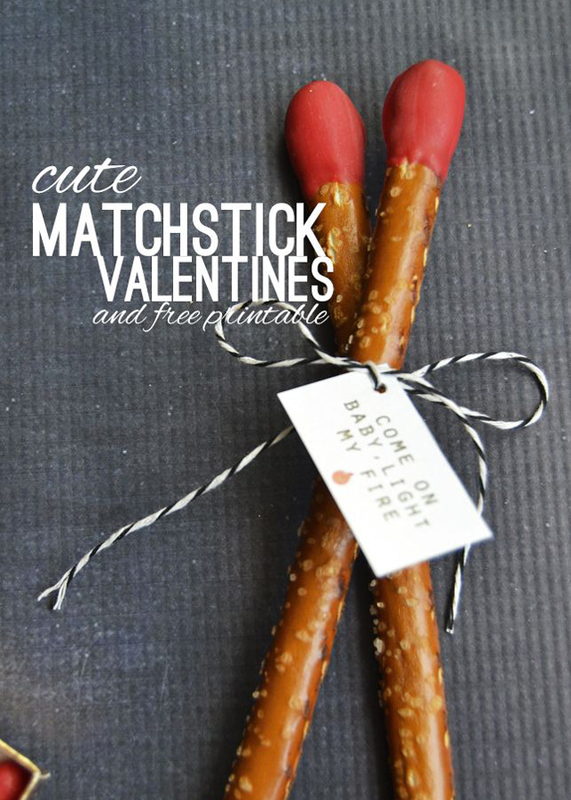 Giant Match Sticks via One Creative Mommy. 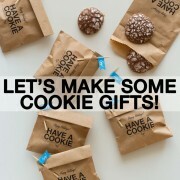 Edible Matches via The 36th Avenue. 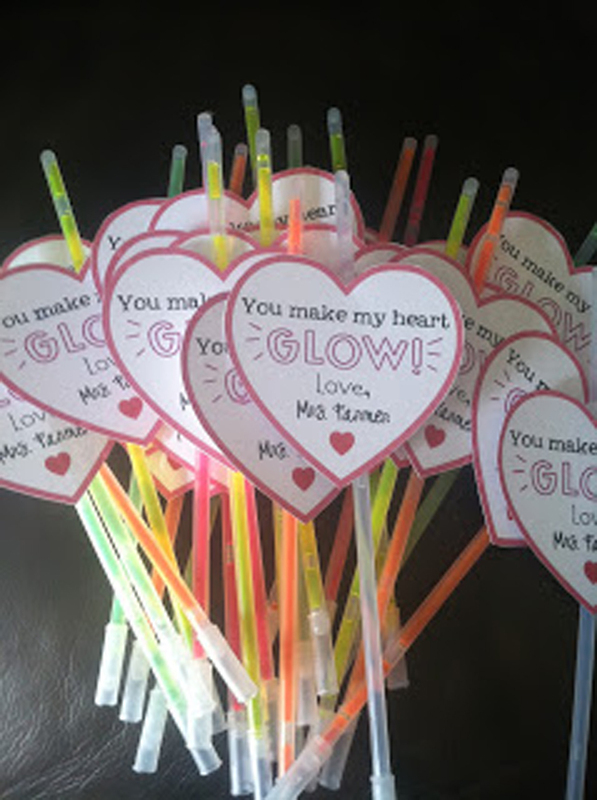 Glow stick via First Grade with a Cherry On Top. 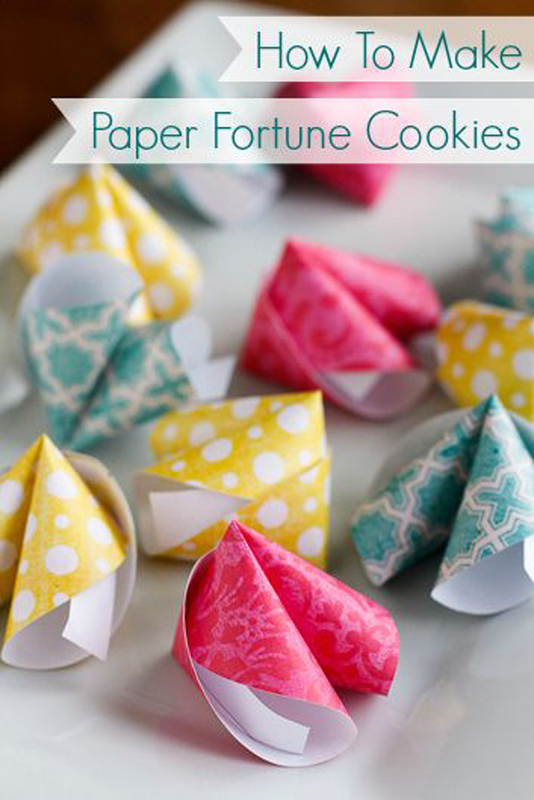 Paper Fortune Cookies via Unsophisticook. 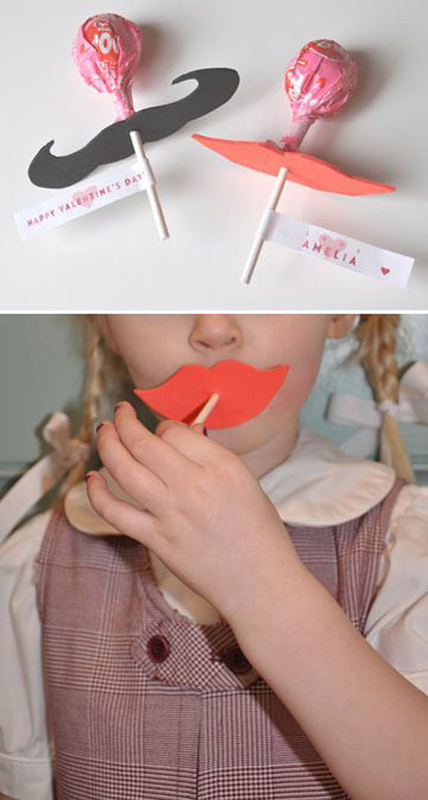 Moustache and lip Lollipops via Blonde-Designs. 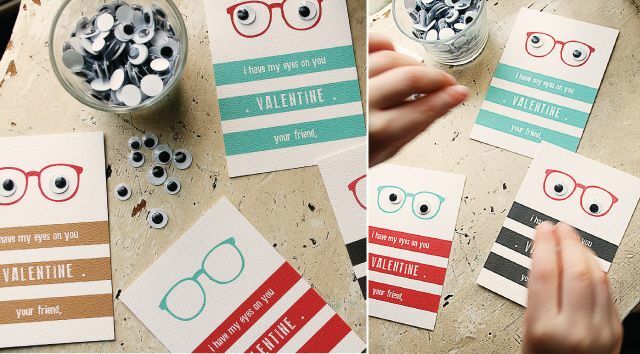 Google Eyes Valentine’s card via Armommy. 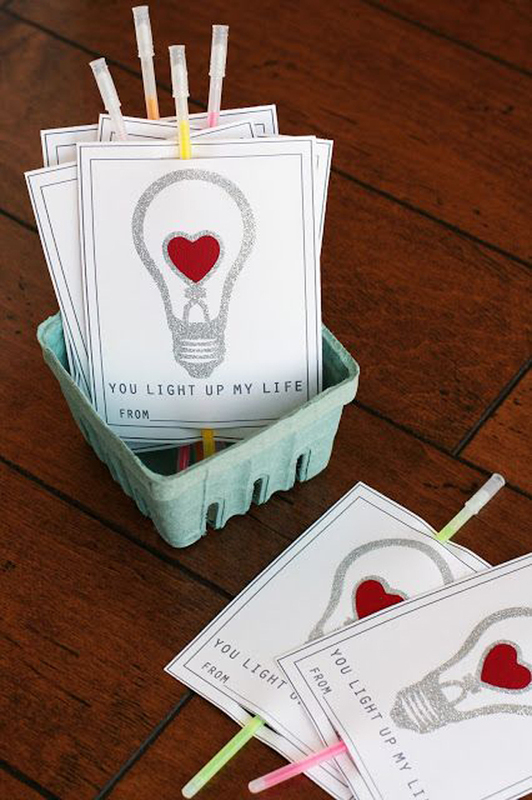 Have a lovely valentine’s day.